​​Seahawks fans, the sky might not be falling after all. Monday is Russell Wilson's self-imposed deadline to reach a contract extension with Seattle. If not, he'll play out the rest of his contract and take his chances in free agency (or more likely the franchise tag). Despite some pessimism on both sides, Wilson's agent is literally in the building working on an extension with ​Seattle as we speak. Now, this by no means indicates the two sides will reach an agreement. However, it does provide some optimism as we near the breaking point. Should Seattle struggle to agree to terms with Wilson and his agent, the Hawks could entertain some outlandish trade scenarios. The compensation for a player of Wilson's caliber would set an incredible precedent the likes of which the NFL hasn't seen. So basically...Russell Wilson won’t be traded. 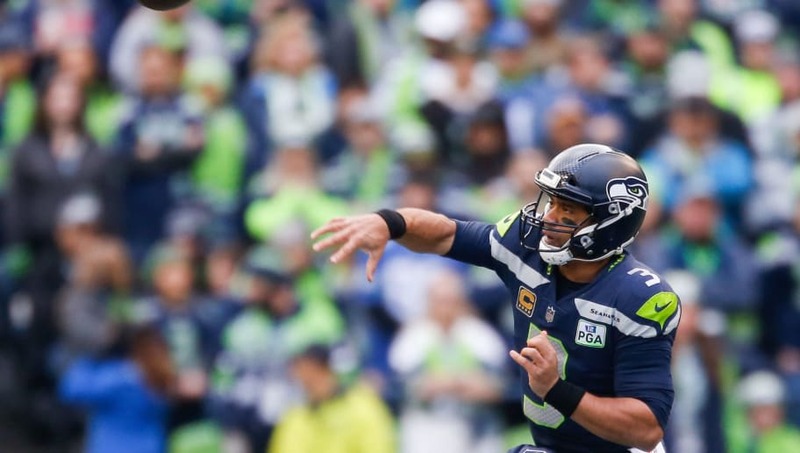 It's nearly impossible to equate fair value to Wilson, as he means so much to Seattle's offense and has improved immensely since his Super Bowl victory in 2014. Wilson is a bonafide All-Pro and perhaps future Hall-of-Famer. Dealing him in the middle of his prime is a bold move for the Seahawks to even consider. At 30 years of age, Wilson is coming off a 30 TD campaign in which he threw for nearly 4,000 yards.